No cities in this region. The Middle East and North Africa are undergoing a rapid political and socioeconomic transformation. Signs of economic recovery post Arab Spring in 2011 are prominently starting to show in many parts of the region with a rapid growth in GDP of up to 13% in some countries. The drastic drop in oil prices was a source of major concern for oil exporting countries that rely heavily on oil for their prosperity. However, the plunge in oil price, resulted in many governments, especially in the GCC, to re-evaluate their strategies and diversify into more industries. This diversification resulted in a substantial amount of resources being allocated to high-tech and innovation sectors. Coupling this with the fact that the region has one of the youngest populations in the world (with 70% of people being under the age of 25) creates an environment that is catalysing for a new kind of revolution. We are now witnessing in this region an unprecedented revolution in innovation, ingenuity and entrepreneurship. Unlike previous revolutions that took place on famous public squares, this revolution will take place within universities, corporates and entrepreneurial hubs. Unlike previous revolutions, this revolution has the backing and support of governments and public sector. Perhaps the one commonality it shares with previous revolutions lies within its purpose and potential to generate a large positive socio-economic impact. But, instead of calling for the system to change, entrepreneurs are taking matters into their own hands and developing innovative solutions to some of the hardest problems society is facing. The public sector in MENA has also started to double down on support for MSMEs, and has taken initiative in promoting entrepreneurship as a career choice for students and the younger generations. With the combined efforts of the public and private sectors, major positive strides towards the improvement of regulations around setting up businesses and bankruptcy laws; making it easier than ever before for individuals to set up a company. Not only that, but legislative bodies are also slowly but surely adapting to be more accommodative of new technologies and business models, specifically in the areas of Fintech, Blockchain and Venture Capital. Quite a few governments backed projects of considerable importance in MENA in 2017. UAE’s Area 2071, is a space dedicated to bold initiatives with the purpose of bringing some of the best and brightest minds together to create disruptive innovation with the aim of serving the bottom billion. The area currently plays host to Techstars and Microsoft accelerators, as well as, P&G’s first Global innovation Centre and EY’s flagship Innovation centre wavespace™. While in Saudi, the sovereign wealth fund (the Public Investment Fund) announced later in the year the launch of a USD 1bn fund of funds that will invest in Venture Capital and Private equity funds that target SMEs. This is part of the Kingdom’s ambitious Vision 2030, which also includes the development of the SME Authority that has recently launched several initiatives to reduce the tax burden and increase the availability of capital for local SMEs. Last year also saw some bullish moves from some of the smaller ecosystems. The Bahrain Economic Development Board announced a USD100m ‘fund of funds’ to support investing in local startups, as well as, the launch of Bahrain Fintech Bay in an effort to position the country as a leader in Fintech. Whereas in Egypt the Ministry of Investment launched a massive incubator called 'Fekretk Sherketak' that will incubate over 100 startups across the country providing financial, technical and legal support. MENA is Adapting: Government across the region are starting initiatives such as Investment Funds, Accelerators, and passing legislation to ease the process of setting up and closing a business. 2017 was a landmark year for MENA startup ecosystem, reaching new milestones and breaking records. Amazon’s acquisition of Souq.com and Careem becoming the region’s first unicorn after closing its USD 500 million Series E round hit the largest headlines in the region. Other large funding rounds including Fetchr’s USD 41m Series B and Paytabs 20m investment round to support its global expansion are an indication of the region’s potential to produce billion dollar companies. Startups are not just increasing in valuation, but are maturing and beginning to explore different expansion paths through strategic investments and acquisitions. Last year Fawry invested in the Egyptian Based logistics startup Bosta, and Careem invested in the public transport app SWVL, and more recently acquired the online restaurant listing platform RoundMenue. It can be said that the startups of yesterday are becoming the investors of today. There is no lack of support for startups in MENA. Other than the governmental support mentioned above, there are numerous incubators, accelerators and VC funds launching every year. 2017 alone saw the launch of more than 8 new VC firms, in addition to larger funds being raised by incumbents. The region’s largest private sector fund came from Saudi Telecom announcing a massive USD 500m fund for startups. Moreover, MEVP and Mohammad Al Abbar came together to launch a USD 250m (MEVF III) fund, a huge increase on the previous USD 31m (MEVF II) fund launched in 2015. Recently, some of the leading VCs in MENA have come together to form the Middle East Venture Capital Association (MEVCA), which aims primarily to enhance collaboration and development of VC in the region. The increased level of capital and organisation in the VC industry is surely a sign for larger and more frequent deals, and potential for more exits to come. MENA is Maturing: The region saw another $1bn valuation in Careem, Saudi Telecom Ventures raising a $500m fund and Over 1bn in exits in 2017. The entrepreneurial spirit has also managed to attract a lot of the media and press’ attention, creating a wave of celebrations for successful entrepreneurs and portraying them as idols for the many aspiring change makers. Several media channels around the region such as Wamda, MENABytes, Startup Scene, Magnitt, Startup Mgzn and accelerate SMEs are dedicated solely to covering tech and entrepreneurial activity. 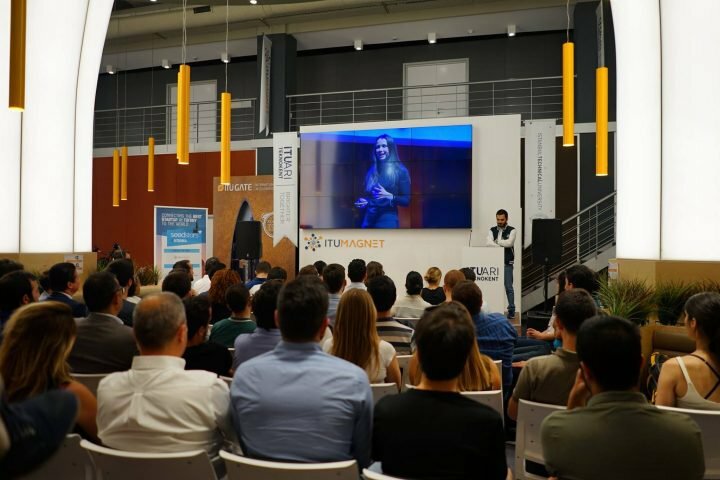 Even mainstream media channels have begun to recognise the importance of upcoming trends in entrepreneurship and have started to cover all the main Startup events. CBC, one of Egypt’s most popular TV channels has taken to produce a TV series similar to the popular US-based series Shark Tank, where entrepreneurs pitch their ideas to a panel of judges in order to secure investment for their startups. 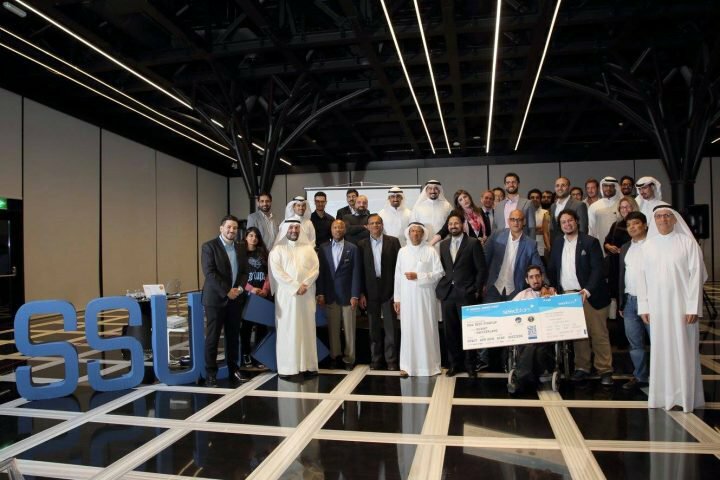 There is also a plethora of startup competitions happening several times a year in every major city like Seedstars Competitions and Arabnet’s Startup Battle. Virtually every major startup conference hosts at least one or two competitions for startups. Other than competition, entrepreneurs are recognised through various accolades and symbolic awards. Every year popular publications such as Forbes publish lists of the top startups in the region. Arabian Business takes it a step further with an annual awards ceremony for entrepreneurs, thought leaders and ecosystem players. Not only do these awards act as a key part of raising a startups profile in the business community and with investors, but they also give entrepreneurs the recognition they deserve, as many of them have sacrificed their careers and taken a substantial risk in pursuing their entrepreneurial ambitions. One of the greatest barriers to the growth of startups has taken root in the bureaucracy and the complex and obsolete procedures companies must go through in multiple places around the region. Most countries in MENA rank very low on the World Bank’s Ease of Doing Business rankings, with the exception of the UAE, which ranks 21st globally. Moreover, movement and expansion to different countries within the region are significantly hindered due to high regulations and visa requirements, making it somewhat difficult for startups to expand regionally. There is definitely more to be done on a regional scale, but changes in the business environment are hard for the ecosystem stakeholders to influence as all the initiatives require buy-in from top government, a long-term time horizon and significant budget considerations. Other parts of the region such as Syria, Libya and Yemen remain largely war-torn and the refugee crisis is draining many of the resources of neighbouring countries. However, this ongoing crisis has struck a chord with many of the entrepreneurially spirited inhabitants of the MENA region, resulting in many innovative solutions being developed to help refugees settle in, integrate with local communities and even start their own businesses. Initiatives such as MIT’s Innovate for Refugees competition and the Refugees Code Week have been doing a great job at tackling the areas with the highest trouble through technology and entrepreneurship. Do you want to join the biggest tech events for emerging markets? Would you like to publish your insights on tech, entrepreneurship or startups in emerging markets?